In addition to being featured on this post (can you imagine?! 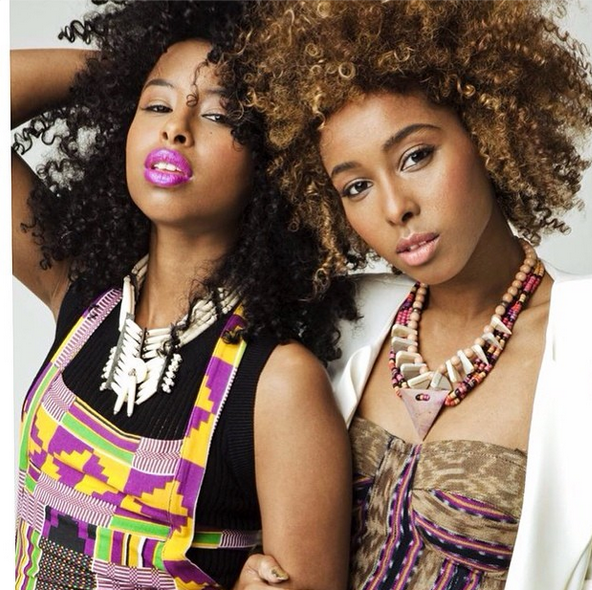 -_-), Somali duo Faarrow and their French-Cameroonian counterparts new Afrimma awardees Les Nubians have a bunch of cool things in common. First, each duo is made up of super sassy singing sisters. 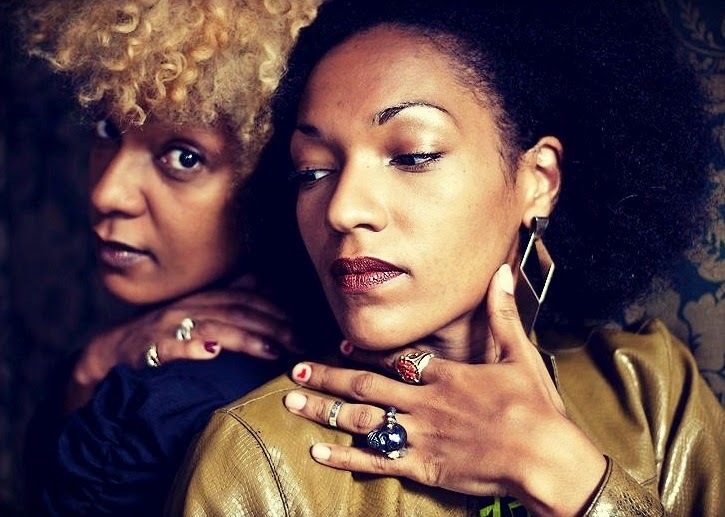 Although Faarrow is more on the pop edge, while Les Nubians feel comfortable in soulful vibes, they are both musically afrocentric. “We always try to add undertones of Africa in our music,” said Siham in an interview with Afroziky. 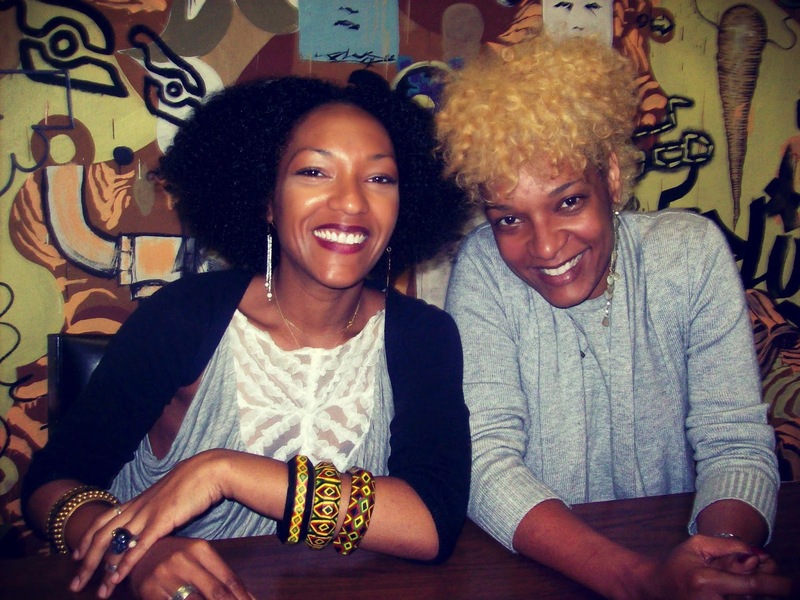 The Afrocentricity also took over Faarrow and Les Nubians’ style. They both love eccentric Africa-inspired pieces that they combine in a very original way, as you can see on the pics. Plus, you may have already noticed; although they get to change their looks sometimes the four ladies are fans of the ‘fro, including blond heads. In Faarrow, Siham is the one who rocks the black long curls while her younger sister Iman kept her blond hair shorter. 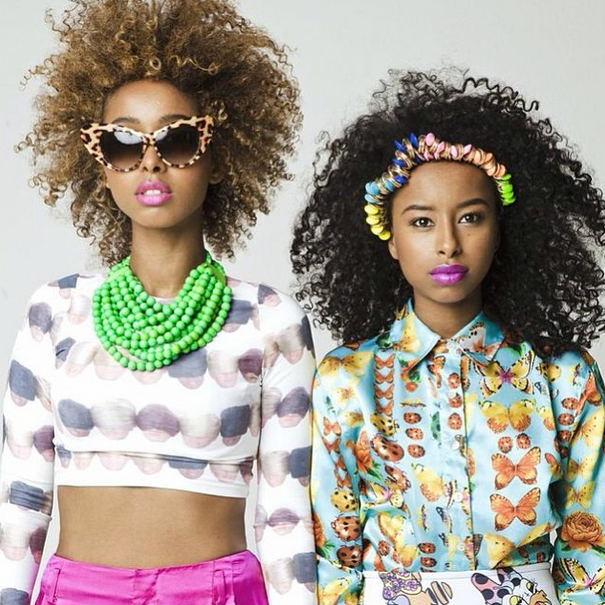 Helen of Les Nubians matches Iman’s look, while her younger sis Célia sports the black Afro. 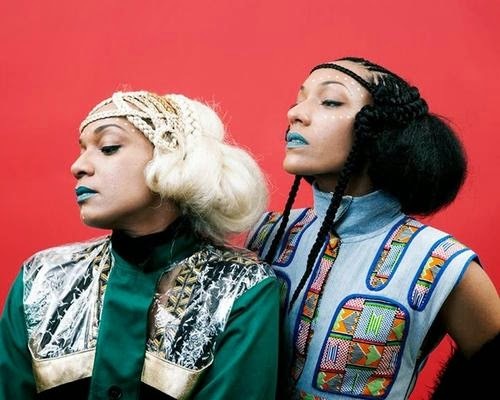 Both groups are talented in their own way, enjoy our playlist including some of the tracks we love from Faarrow and Les Nubians.